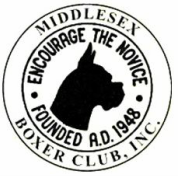 In 2008 the AKC added boxers to the list of dog breeds eligible to compete in the sport of herding. Boxers are natural workers and enjoy any job the are given. Boxers can easily be trained to collect, move and pen livestock like sheep. This sport does require you to have livestock or access to livestock, so finding a farm and an experienced trainer will help make this sport possible.